Novel to ignite young minds penned by Suresh Keezhillam. Illustrations..
Collection of 18 stories by Suresh Keezhillam. ‘Dinosauria’ has storie..
Collection of stories by Suresh Keezhillam. Aakasathekkulla Dooram .. 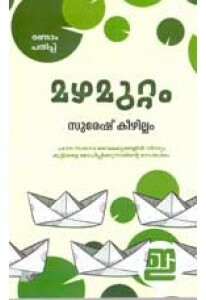 Novel for young minds penned by Suresh Keezhillam. ‘Mazhamuttam’ an..